I remember this one as the very first Star Trek novel I ever read. I remember thinking that it had a nice plot and twist, with a nice science fiction trope thrown in. It’s annoying to have Kirk killed right off, because then you know that a lot of the plot will revolve around trying to get him back, but it sort of works out eventually in this one. I gotta confess, it’s really been a big while, and I even cracked it open again to see how much I could get, but it’s really not that good to merit a re-read. There’s few content that stuck, but what I do remember is that the plot moves at a good pace; that it really keeps your attention, even if there are some big passages of fluff; there’s not much angst and what-should-I-do texts; it’s not quite an episode, it’s not quite a novel. Cover: Nice, but generic. The cover sports a epic mustached Sulu, because yes, it’s in the story, but only as a sort of comedic relief. Look really weird! Novel Objective: Seems to try to mirror a Star Trek episode, and nicely done too. Writing style: Light, with much dialog, helps keep the action moving along. Star Trek episodes references: just a few in the opening chapter and very sporadic in later ones. David Gerrold had already been an accomplished script writer, most notably “The Trouble with Tribbles”, so it’s very encouraging to begin one of his Star Trek books. Unfortunately, writing a good science fiction book is still not an easy thing, even when you have a good grip on the characters and the mythos. The author plows through another common trope, the “world spaceship”, complete with inhabitants that don’t know anything more than their ship, and also with the trope “ship will plunge into black hole” (the “galactic whirlpool”) unless the inhabitants trust the visitors and activate and steer the ship. Again, the same type situations, the incredulity, etc, etc, are written yet again. Even so, it’s exceptionally well written, with insightful flashbacks, character ponderings, even with the full servings of dialogues. The action is a bit slow-paced, as the emphasis of fleshing out the characters is heavily marked. 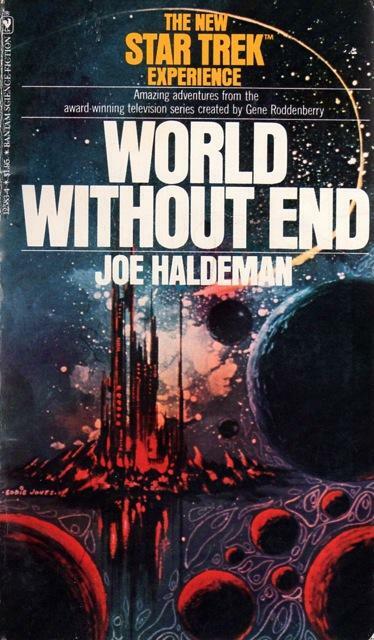 At the end, it’s more space opera than sci-fi. The book reads more like a very long TV episode than a novel. Even with the peppered descriptions, there is still too much dialogue, more common with scripts than written literature. This is also a common affliction of fan fiction, where the dialogues extend for pages and pages, much of it inane or pointless. Gerrold does a better job, but it still becomes tedious when the characters just jab along about just everything they do. More action, less talk would have helped inmensly. A good book for a good read, if the style does not annoy you. The story is not so much the focus as are the elements of the Star Trek universe, so for Trek fans it’s very enjoyable. On comments and reviews I have seen on the Net, this is one of the most favorably remembered. Taking in account that it’s well written, it’s by one of the original script writers and that it’s based on a submitted script, I will have to add it to the “Must Read” list. This list is so far very short, and I don’t think it will be very long. I’m now really behind in the reviews… but I think I do have to mention that I have still continued reading, as I still find the Trek books very enjoyable, be it a good author or bad author. Gotta say for now, that I just absolutely loved Peter David and looking for more from him. Also, that most books have been nice enough, but there still are a lot of mediocre ones. – Exactly WHAT was the author trying to do while writing the book. Although it seems obvious (“write a Trek book”), it not always is the same reason. For some, it’s to just write a “Trek Adventure”. Others, try to copy the TV series, even down to the same plot points. Others are trying to spout out some inner fandom needs, while some try to ‘fill out’ some history and explain other things that have appeared. Few do really get the real gist of what a Trek book HAS to be. In particular, I guess the most important plot point that is common through the series, that usually makes them a good episode or book, is when the Captain is tormented by a decision. Ghost Ship tries to do this, but barely makes it, for example. Others, try so much to give ambiance and feeling, that the lose too much pages in descriptions which are not necessary, and fail to find a good climax for the Captain & crew. – Another thing is characterization: how the characters should react normally. While it should be a good practice to expand a bit the characters to avoid them coming stale, this usually is taken badly and making the characters do what they are obviously not able, or not really a part of their persona. Hard to do, especially when some authors had barely seen the TV series, or do not remember them well. – Crosspollination is totally inexistent, except from authors from the same books. That is to be expected, but I think later on it gets better. Buy anyway… I have made a good headway into reading, I have finished Cry of the Onlies (awful), and I’m just reading through Worlds of the Federation, which is not a novel and will not review it, but I do read everything Trek that’s in the chronology order. 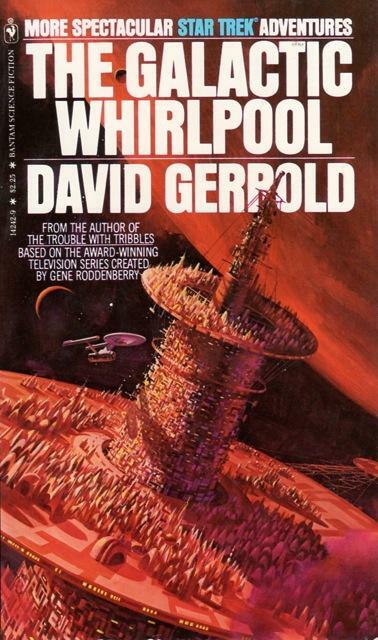 I’m stuck right now with the review of The Galactic Whirlpool, which I was ready to cross out as mediocre, until I noticed it was from David Gerrold… On a second look it looks nice enough, except that it really is not that innovative or as creative as what you would expect from him. Yet another novel rehashing already written plotlines! This is a total copy of “Journey to Babel”, but with a bit different species to play with; Sarek, as an ambassador, had to be on board, too; Murder is plentiful too, and to add insult to injury, the author inserts herself (a wish-fulfilling stand-in for the character, called a “Mary Sue”) as a powerful, secret agent that romances Kirk! Basically this is an “authorized Fan Fiction” where the author wrecks havoc with the characterizations and puts herself in a pulpy mystery & romance novel. The text is slow, hard to read through, and the ambassador characters are a big distraction. The plot is hard to follow, as the story goes all over the place, and the “mystery” part of it is not satisfying at all. I had a hard time reading through it, the secret agent character is highly annoying, it just bored me through it. It got to the moment I just sped-read through it just to finish it off. This one is not worth your time or your effort. Not the worst I’ve seen, but a bit worse than mediocre. Dilithium problem, engine problems, and any other malfunctions are so part of the Star Trek episodes there are very few that don’t feature them. It’s part of the whole “even though we have advanced technology, we can’t always depend on it” dogma. Also, they were (and still does) always a part of the plot-advancing themes. Most problems would be resolved instantly if there were no technology or medical problems, or all the stories would mostly devolve to fire-fights and fisticuffs, which even so are also par for Star Trek. Another rehash makes for another forgettable novel. Even with plenty of extraneous dialog, the action is straight-forward, but it still feels slow in the action. 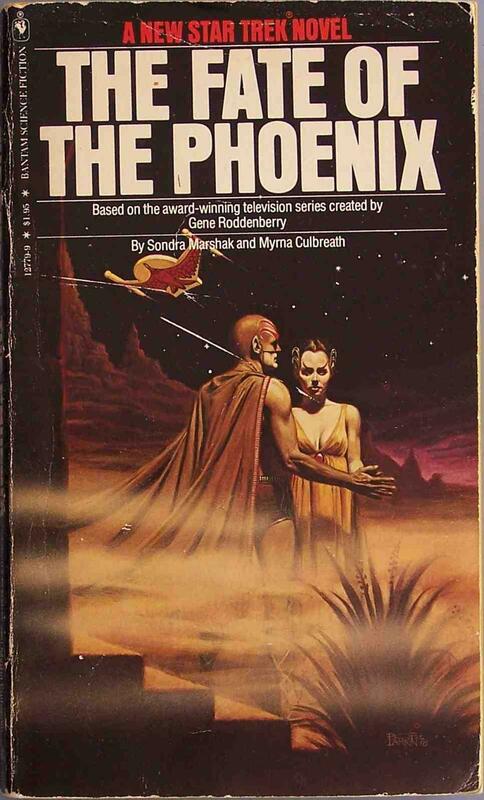 It does feel a lot like an episode, as many of this early novels were heavily modelled after the TV show. Again, more common tropes: enter a city, talk with the ‘council’, that takes them to the leader, which is really a central computer. While they scope the situation, people get infected, some more action happens, then the problems are quickly resolved at the last part. This formula has been written worse on some of the upcoming books, but it’s still very tedious in this one. Reading again another story with exactly the same tropes is getting old. Especially the ‘unknown’ virus affecting everyone until the last minute a ‘cure’ is found by the medical crew is getting to be very annoying, but it will still be a common theme in TNG and other series, and I’m guessing in still more books. Again, this being part of the way to cause drama and tension, and most commonly, an easy way to explain the “we don’t have that much time” cries. A mediocre book, which would have made a copy-cat episode… another disposable read. 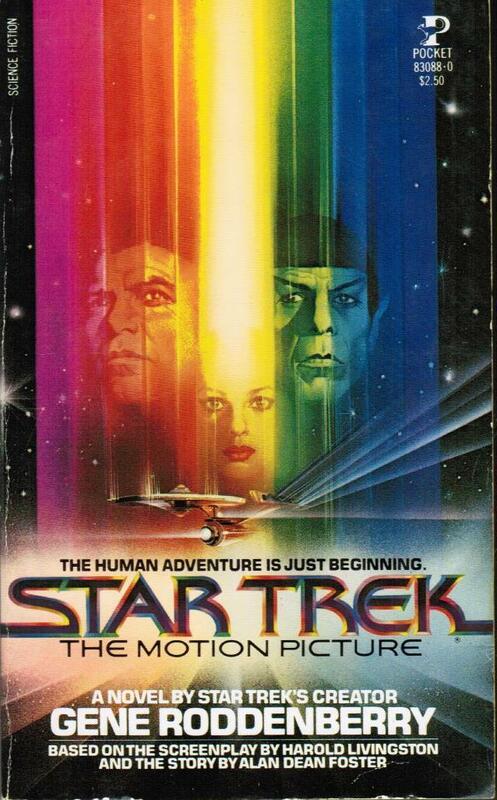 Of course, they now had to get a novelization of the first Star Trek movie. Even though novelizations are usually tedious, so far novelizations had been a hit. So now, with new material, Roddenberry himself had to get “a piece of the action”. Right away, we start with a few new weird elements, no doubt is just Roddenberry’s imagination flying loose for a bit: Admirals are fitted with a senceiver mind implant, and a sub note to the “Mind Control Revolts of 2043-47″, both of which we won’t see ever again anywhere else, except for a brief reference in Strangers from the Sky. Weirdly enough too, this novel is actually much better written than anything before. Might be that Roddenberry had more writing chops, or maybe the added collaboration of Alan Dean Foster and Harold Livingston, but it does make it fairly more entertaining, even more than rewatching the actual movie! Some details stray a bit from the movie (like the senceiver chip), and adds a bit more meat to the narrative. It begins with a framing preface, where Kirk himself presents the book. Then the “author” himself adds a preface, writing as if it had really happened. I do remember enjoying this novel. Even if it mirrors the movie, it is not limited by it, but expands a bit the narrative, and also a bit of the mythos, where Roddenberry gives himself license to add whatever amuses him. It’s a quick read, because you should of course remember the movie plot, and that helps you avoid getting lost. It’s nice for a quick read and I did find it quite enjoyable, something I was not expecting! Although you would expect a battle with extremely evil, cunning and devilish beings, the novel takes a turn and delivers something else. At least it’s a straightforward adventure again, with very few ‘angst’ and filler text. It tries to copy the episode style, with a ‘teaser’, a fun Enterprise activity to start, and then delve into the problem of the week. It’s a forgettable novel, I’m so behind the reviews that I’m actually forgetting what the novels were about! The better and fun ones do get stuck in my memory, but this one is not one of those, I had to go back and browse it again. We begin with a colony world with extreme ‘medical’ problems, cut to a magic show on a Starbase, where the plot is being set, to then visit the target planet, resolve the problems, end of plot. Pretty standard. Here, we see a bunch of common Star Trek tropes, like: Whole planet populations consist of just one village, and this one, to just a hundred beings; a known relative is missing and is searched for, being ‘lost’ by looking for something strange; a non-thriving colony, lost, dead or missing for a strange cause; a colonist being alone not only for years, but decades; a big controlling computer; an “explanation” for Earth’s myths, etc, etc. It runs through so much of these that it feels like a mash of known episodes. The author is not a big fan of the show, though; small details are wrong, like Spock being a “big fan of poker”, where clearly it was a game Vulcans did not know. The ending is very brusque and not satisfying, seems the author just about wanted to end the story and be done with it. The characterizations are spot on, and the character development is nice, if entertaining, but the author takes a lot of common themes and ideas to just rehash a story for the novel. It’s also slow with a bit of extra dialog for filler, but nothing extreme. It seems a suspiciously “young adult” novel, but it’s not tagged at such. It’s good for a fun read, but nothing new or breaking ground here. This blog has been a serious challenge to me. It’s much easier to read than to write, and getting down a decent opinion is also a bit difficult. Also, not all the material is that engrossing: let’s face it, most of the stuff is mill-pulp written, just to get stuff out with the Star Trek stamp on it. Especially the earliest material, and even more so, the first novelizations. They’re not badly written, after Blish got the hang of it, it was fairly easy to him to just plow through all the scripts and write them down almost as he got them. There are sometimes a few interesting differences from the script to the final episode, but not enough to warrant reading through. I have tried to slave over them, and even though they are practically the definitive “episode scripts”, it’s too much effort and not sufficiently engaging than just rather turn on the tv and put the episode. So I’m just going to bunch the whole rest of them in this review. As before, this are almost a straight forward novelization of the scripts sent to Blish. He does not “frame them” or add a bit of material like Alan Dean Foster does in the TAS novelizations. If you are a fan of the show, the whole suspense/thrill is broken as you know exactly what is going to happen in exactly what matter. It’s like reading a script play you already know quite well, it’s not very engaging. 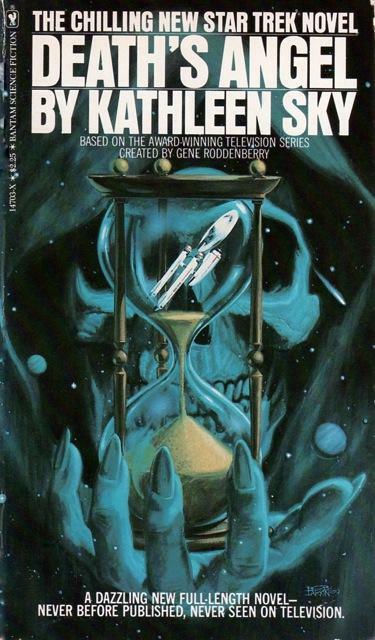 These novels WERE in their time very successfull, even more than Blish’s original books, but that was because at the time many people had not seen the series, or was not broadcast where they were; also, there WAS a lot of thirst for ANY Star Trek material at the time. Upon the realization of the popularity of the series in syndication, and the success of these books that the novels were rushed to publication. I’m not going to bother with any more detail of these books, especially on the immense amount of material I still have left to read and review. I would NOT recommend them for any fan, unless you are really interested in a specific episode and you’re left out of any other material. Oh no, please. Another monumental fan-fiction release by the hellish fan authors Sondra & Myrna. Extremely awful, I absolutely hated it all the way. Made me think twice about doing this whole Star Trek reading project, but I’m sure that the rest of the the authors are nowhere so absolutely hateful. The books carry on and on in endless dialogs, internal angst and anguish in very long long diatribes and philosophical musings. Action is very very thin and the plot is difficult to follow. Their fan adoration is served thickly all throughout, and it would not be so horrible if they would not try to pair up Kirk with Spock in horryfing thinly veiled “slash”, not to mention the extreme violence and fetishism. The characters are NOWHERE near what they would normally say or do, and seem like twisted sock puppets being forced to perform. 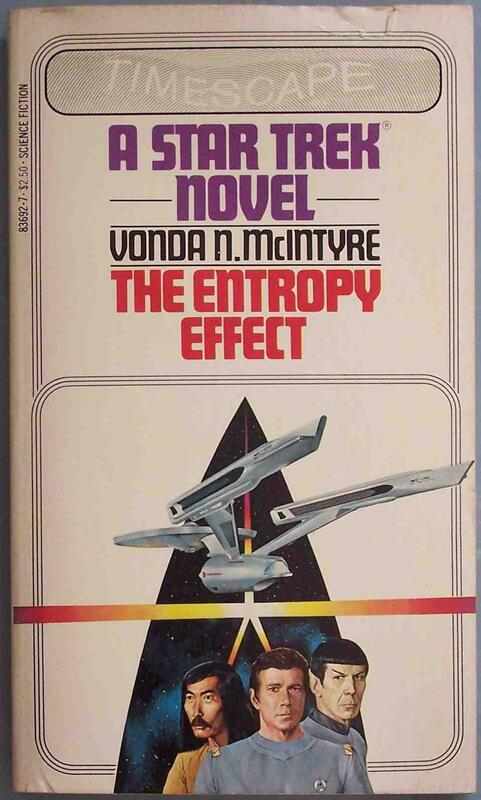 This book was only printed because they had already previously published, and sold to unsuspecting fans, their badly written trash passing it on as a Star Trek stories. I’m sure it would not pass muster on any current publishing house. This was the absolute worst of the whole Star Trek collection. The authors did keep on writing tons and tons of fan-fiction, but fortunately those have not been officially published. Stay away from these authors!! This is a nice adventure story, gets right to it and has some good science and science fiction elements in it. It does not delve too much in the characters by themselves but does the author does play a bit with them, making a good characterization without going overboard. 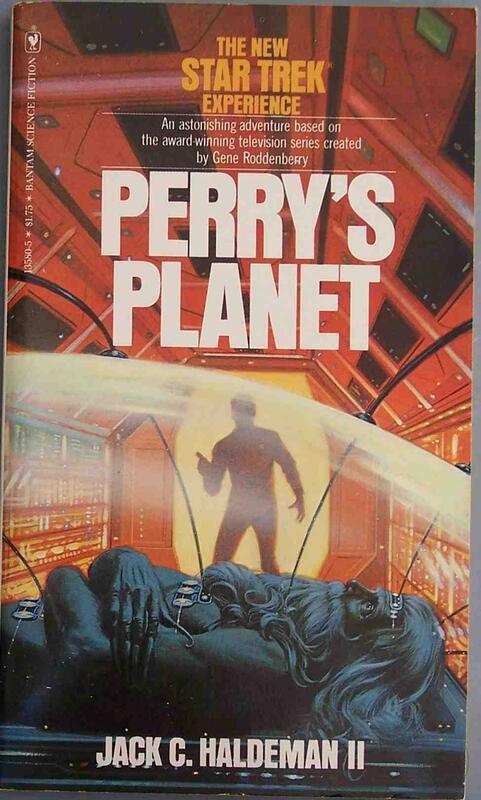 Unfortunately, the story is unremarkable: a “world” spaceship where the inhabitants are not aware they are in a ship. This was masterfully done by Heinlein way way back, and has recurred numerous times in the Star Trek universe. Also, the different ways the author presents the text is nice and refreshing, but does not do much with it besides delve in technical details or just advance the “adventure”. I don’t remember much of the story, it has been a while since I read it, and I’m sure because there’s nothing really special or interesting in the text. It is nice for a nice fast read, but the author is seen that even though he does a good effort on doing a good SF story, fails to tread into new ground or even something a bit more interesting. I would do a re-read, but it’s really not worth it.